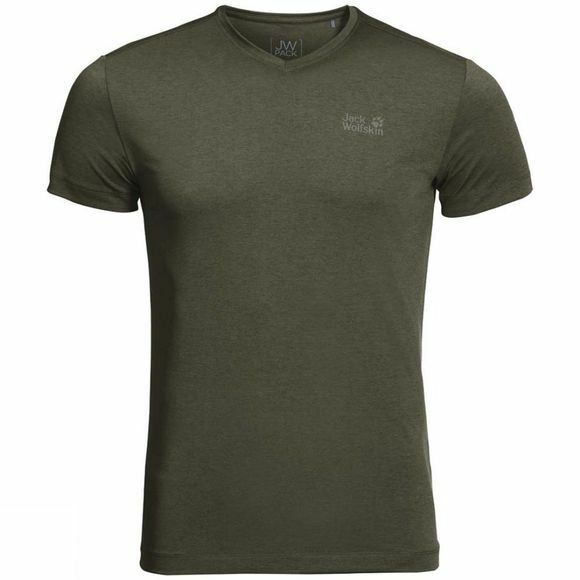 When you're moving fast on the trail or biking through the city in the summer heat, the Mens JWP Tee works as hard as you do, wicking perspiration quickly to the outside to keep your skin feeling dry. The fabric has a soft, cool feel and stay-fresh properties to reduce unpleasant odours. This T-shirt is part of our JW Pack collection, created for commuters, urban nomads and weekend city-hoppers. All of the products in this innovative capsule collection are ultra light and packable and ideal for lightweight travel.